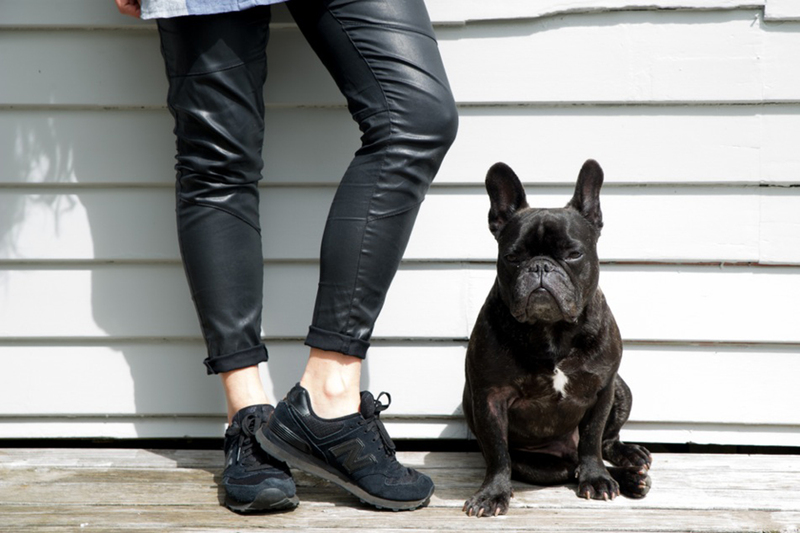 Louise Hatton has been our photographer for the last seven Shoe Connection photoshoots, and is the proud mum of our unofficial mascot, Mac, the French Bulldog! This funny and talented young photographer is in hot demand right now, working on editorials for the likes of Sir Peter Jackson and Irene Van Dyke. We chat to Lou about what work she’s got coming up, Mac (of course!) and what shoes she can’t live without. I’m a fashion and commercial photographer. What are the perks of being a fashion and commercial photographer? I love that this is my job! Everyday is different and I get to meet some rad people and shoot on great locations. I’m just about to head off on a seven day Hobbit tour with Tourism New Zealand. DREAM JOB! Who is the coolest person you’ve shot, ever!? Peter Jackson… He’s going to be hard to top. I’m shooting him again next week for Empire Magazine UK. Very excited! Oh Mac. He is a 4-year-old French bulldog who loves to skateboard and has modeled for Shoe Connection for about 5 seasons now. He comes on most my jobs with me and is known to sleep on the “Directors chair” at Stem Studios and snore the house down when I’m shooting. He’s a pretty cool little dude with serious short man syndrome. Well I have to say, I wear New Balance sneakers EVERYDAY! So my outfits pretty much revolve around them. I’m also an ambassador for New Balance which is completely ideal! Prefab! So delish and the best coffee!! What do you like doing when you aren’t behind the camera? I love horse riding! I’m into it in a big way and go out to Ohariu Valley Equestrian Centre every week. Also I love going on walks with my boyfriend Brad and Mac as much as possible, and play indoor netball. I keep myself pretty busy. Summer’s Greatest – Our favourite styles this season!